The Foundation Fund is the heart of the club. 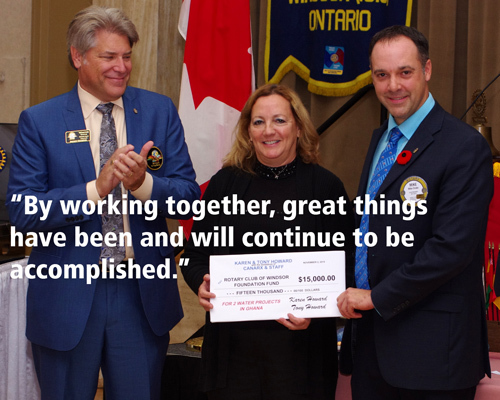 It is the financial source for all of the club's charitable works and enables its members to make a difference in our community and around the world. 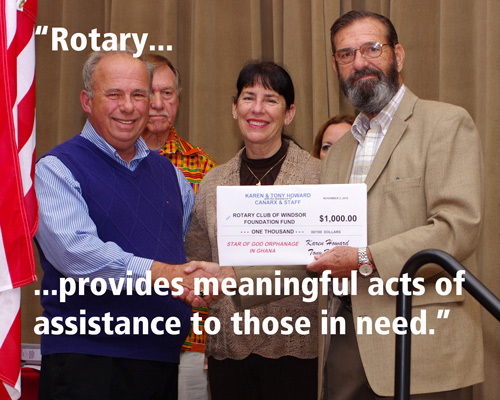 The Foundation Fund give the Rotary Club the power it needs to turn the wheel and create change. The foundation Fund is literally the key that powers the club and enables its members to make a difference both locally and around the globe. We tap into a network of Rotarians who invest their time, money, and expertise into our priorities, such as eradicating polio and promoting peace. Foundation grants empower us to approach challenges such as poverty, illiteracy, and malnutrition with sustainable solutions that leave a lasting impact.